In 1994, John Masters, a leading stylist in New York City, believed that nature was the best source for clean beauty and his personal passion for healthy, holistic living became his professional calling. John began working with the best organic ingredients available and saw his clients in his small apartment. He later opened the world's first clean air salon in Soho, which used no damaging colourants and no chemical treatments, not even hairspray. 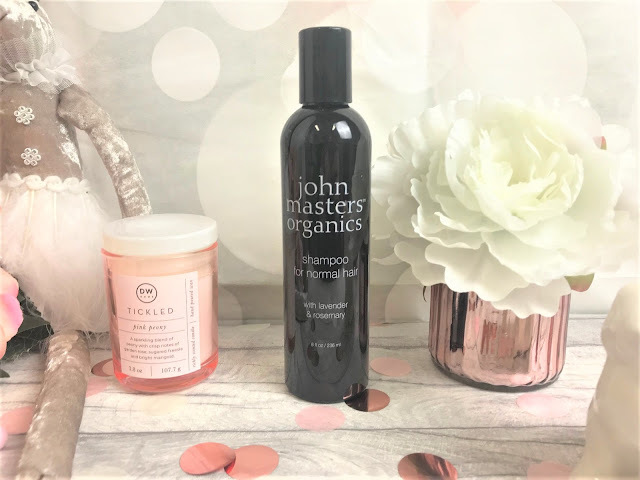 Today, John's vision has become a global brand that continues to transform the organic and natural beauty industry and a few handmade products have now turned into a full line of hair care, skincare, body care and aromatherapy. 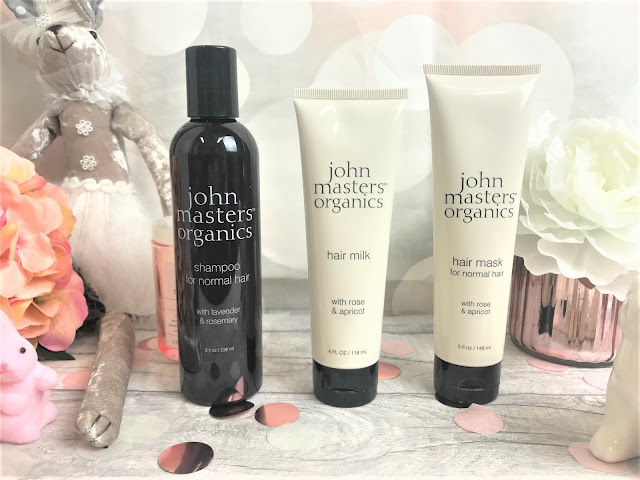 I was kindly sent three products from John's collection, starting with the John Masters Organics Shampoo For Normal Hair (£19.00 for 236ml). This is a natural, sulphate-free shampoo which has been created to cleanse, moisturise and balance out normal hair. The formula has been made using French Lavender to soothe and hydrate the hair and Rosemary Oil to purify and add shine to the hair, and as you can imagine, this smells incredible, it is like walking into a spa and turns hair-washing time into a relaxing pamper session. I personally don't like to wash my hair every day as I don't think my hair needs that and it can end up causing more oiliness, so I tend to shampoo every 2-3 days, and this has worked really well for me, and I adore how soft my hair has been feeling. I think a lot of people tend not to use hair masks if they have normal hair, but I think it is still pretty important, and you can also use it as an excuse to have a good pampering session. John Masters Organics have a Hair Mask for Normal Hair (£29.00 for 148ml) and it contains organic Rose and Apricot for the most amazing fragrance. Yes, a hair mask specifically for normal hair types! This mask has been formulated to help balance out moisture levels, repair any split ends and cleanse the scalp. 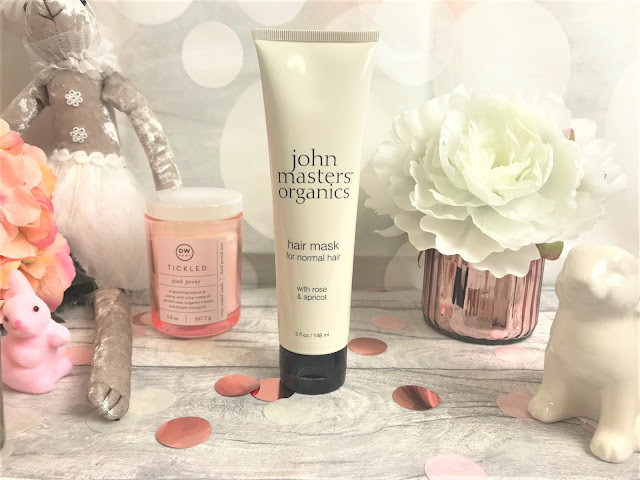 John Masters recommend leaving the mask on for 3-5 minutes, but I personally like to leave hair masks on a little longer if I have the time, to let them further work their magic. After using this, I notice that my hair is a lot calmer, and I don't seem to have as much frizz and split ends wafting around as usual. 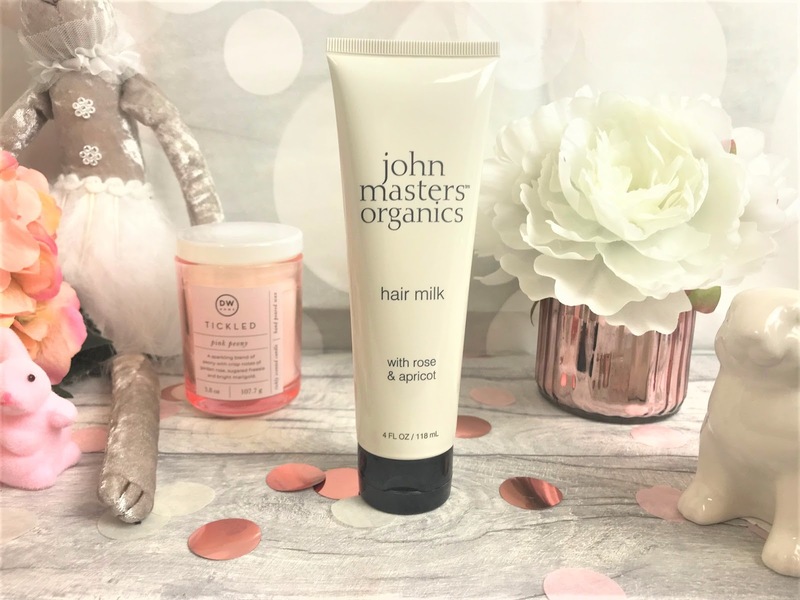 For those of you who like to go a step further with your hair care, I would recommend the John Masters Organics Hair Milk (£29.00 for 118ml), which has also been formulated with rose and apricot. It really does smell heavenly! Even though it is advertised as a milk, I personally find the texture more of a cream, but a lightweight cream, which doesn't seem to cause build-up in my hair. The Hair Milk is a leave-in treatment and so you only need to use a tiny amount, either to towel-dried hair or after blow drying to keep the hair hydrated and give it some added shine. As well as having your hair looking and feeling tip-top, this also provides you with a lightweight hold for styling, so it will help to keep your 'do in place throughout the day, which I love for when I am adding waves to my hair, as otherwise they sometimes drop out really quickly. You can find John Masters Organics online here.